One of the primary and ongoing conflicts in marijuana law is the stark opposition of state laws and the federal position. While some states continue to outlaw pot for medicinal or recreational use, an increasing number of states are following California’s lead in medical use marijuana, or Colorado’s lead in recreational use marijuana. While Obama predicts that more states will begin to legalize marijuana, he also has vowed to let states pave the way towards legalization. This drives the consternation of many marijuana advocates who believe it is “high time” for Obama or Congress to act. In a recent interview, Obama responded to a question about the growing conflict between state and federal laws. Obama responded by explaining how states have the opportunity to experiment with the legalization project, yet, the position of the administration has been to take a step back. Even though federal laws continue to classify marijuana as a Schedule I illegal substance, the administration is not going to spend any time, money or other resources intervening in states’ decision to legalize or pursue medical use marijuana. The President also predicted there will be more states following the lead of Colorado and Washington. In midterm elections, Oregon, Alaska, and the District of Colombia agreed to legalize recreational use marijuana. In addition to these states, there are 23 states permitting marijuana for medical treatment. For those who are not currently residing in states where marijuana is legal, the outlook still looks promising. At the federal level, the DOJ has been requested to re-evaluate how non-violent drug offenders have been charged and sentenced. The President hopes to re-focus strategies on treatment rather than as a criminal issue. According to a Bloomberg report, the President also discussed the problems of dealing with marijuana as a criminal issue rather than a public health issues. This ostracizes members of minority groups, drives up costs in investigations, prosecutions, as well as fills up jail cells with individuals who are serving serious time for non-violent offenses. While the President may not be intervening anytime soon in reversing the classification of marijuana, his support of the movement is promising for those advocating legalization. Historically, the federal government has allowed states to experiment with new laws before making changes nationwide. 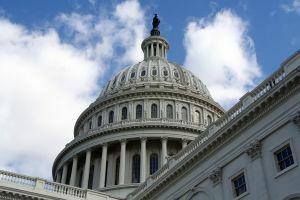 In the case of marijuana, Congress may be waiting to see how legalization works on the ground before making any moves. Issues related to economics, public health, regulations, law enforcement, and taxation are all under scrutiny. Despite the legal shifts in California and nationwide, the legal landscape of marijuana law has many pitfalls. Those who are involved in growing, processing, or distributing marijuana can still be held liable under state and federal law. Whether you are a card holder and have access to marijuana for medical purposes, or you are a dispensary owner, it is important to know the law, including your rights and obligations. Our Orange County marijuana attorneys can keep you abreast of the laws, and help take necessary action to ensure compliance. We also represent individuals who have been charged with state or federal marijuana crimes.